Just a quick post to share a card I made during this weekend. I just wanted to create something easy with my cutting machine and decided to make a card with stars. 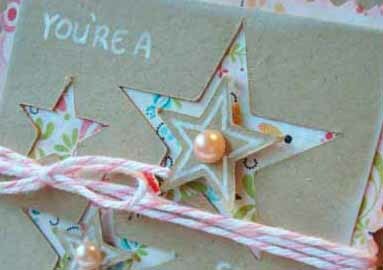 I love stars but for some reason don't use them frequently on my cards. I want to make this same card in a masculine version so this will be one of my projects for this week. 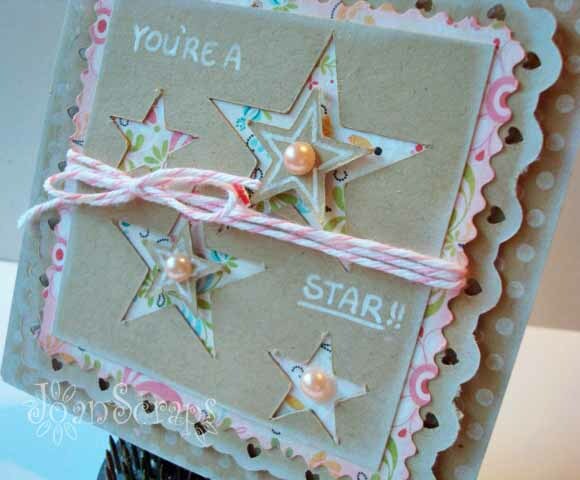 I hope you have a great Monday and that you'll be the star of someone's life today!! Hermosa tu creación, me encanta el color neutral y los toques de colores pasteles. Bella tu tarjeta, me encanta! Muy linda y delicada!! Me encanta la idea de pintar las perlas con copics. Just love this Joan, it's so pretty! 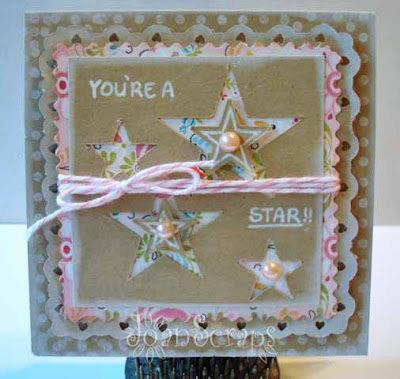 Love the star shapes!